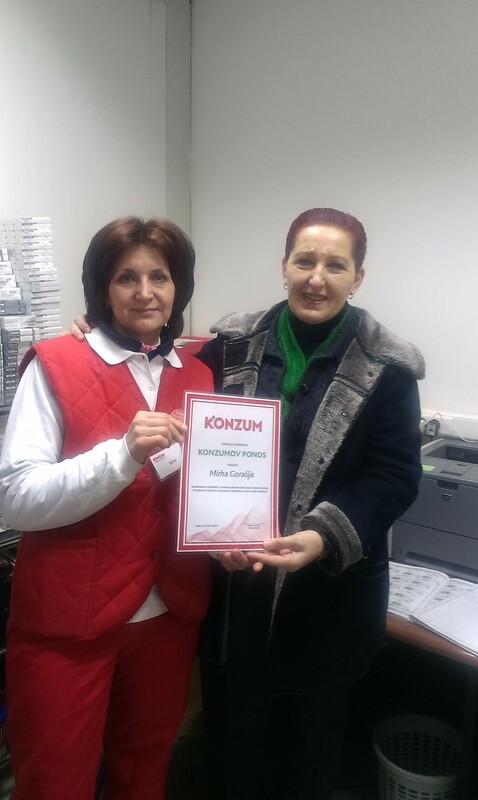 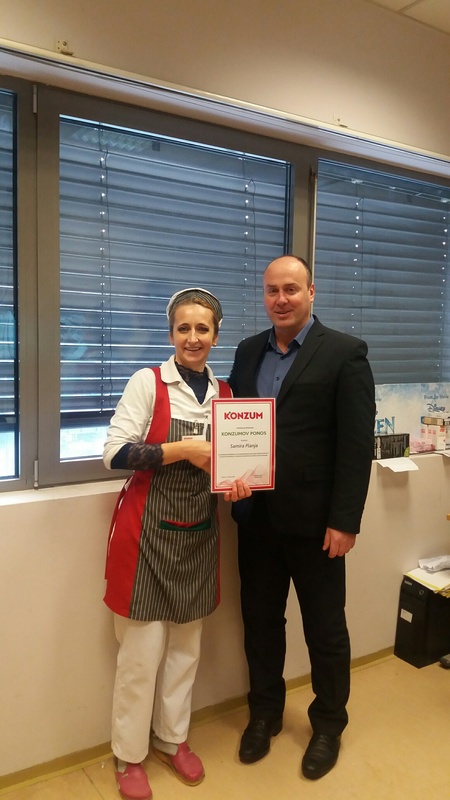 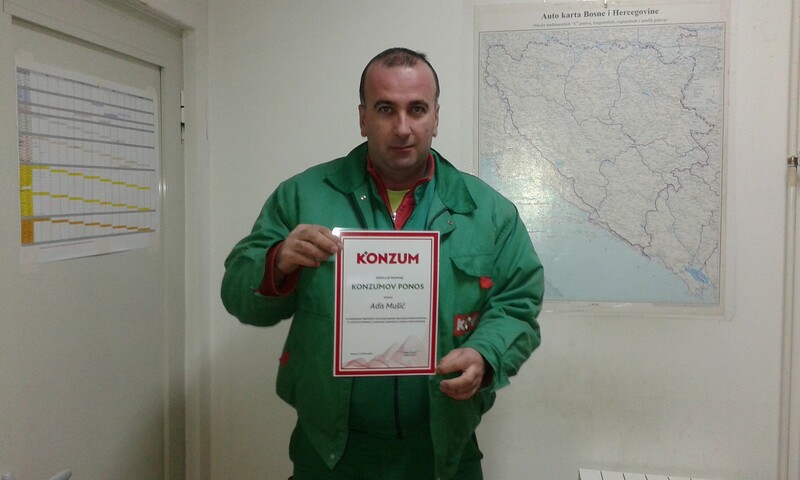 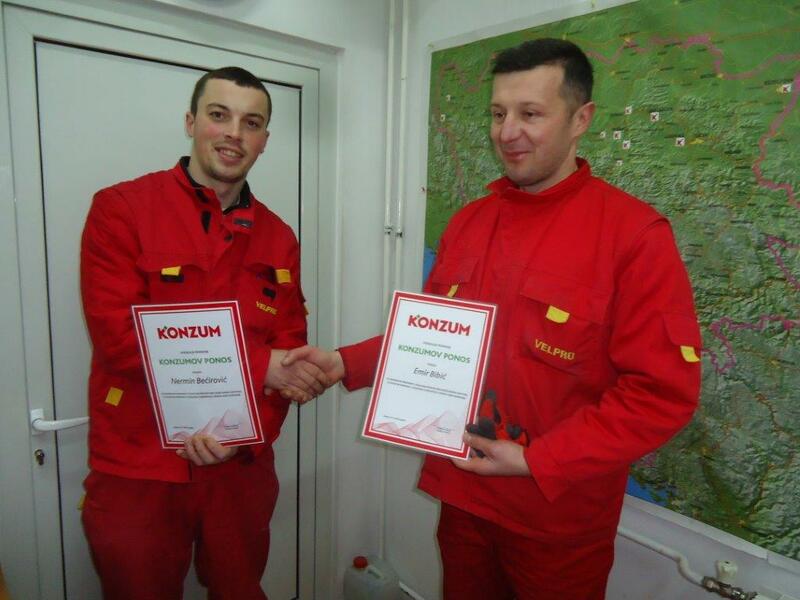 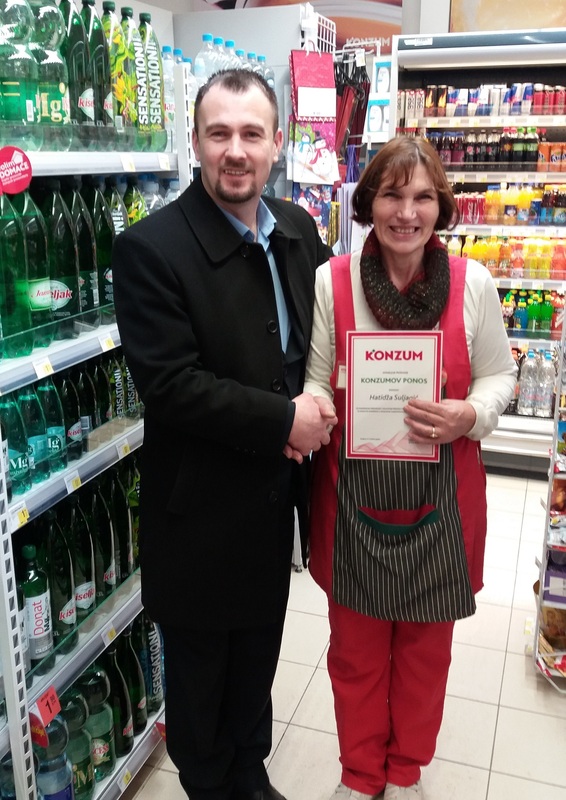 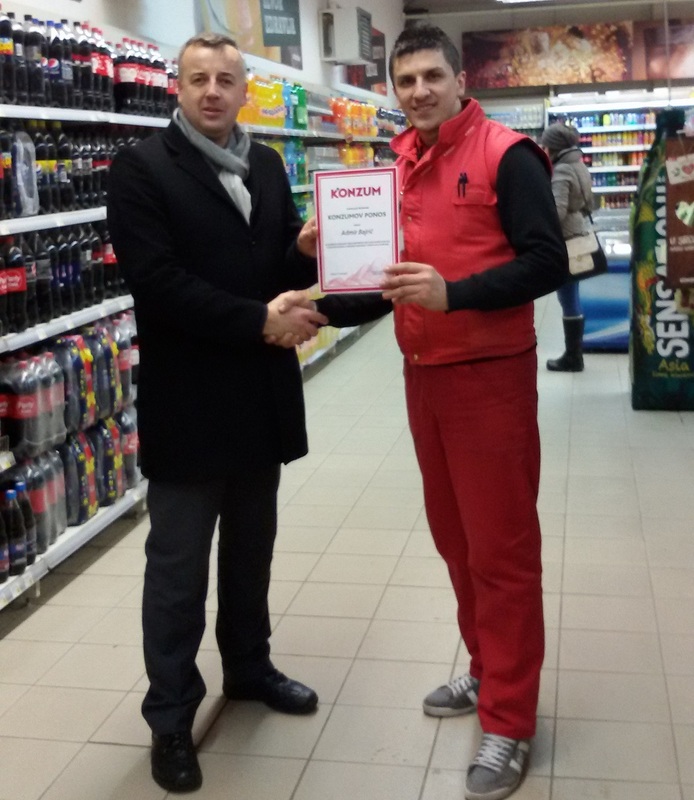 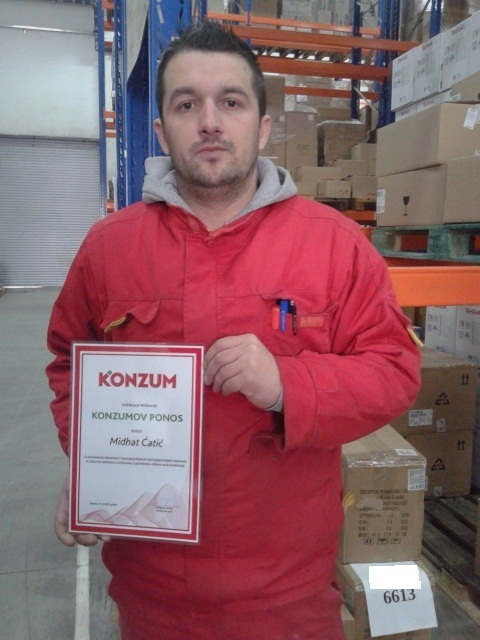 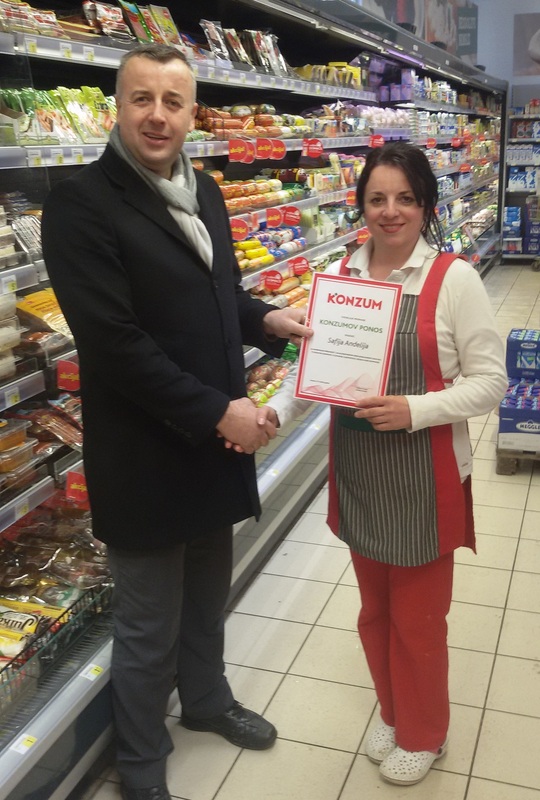 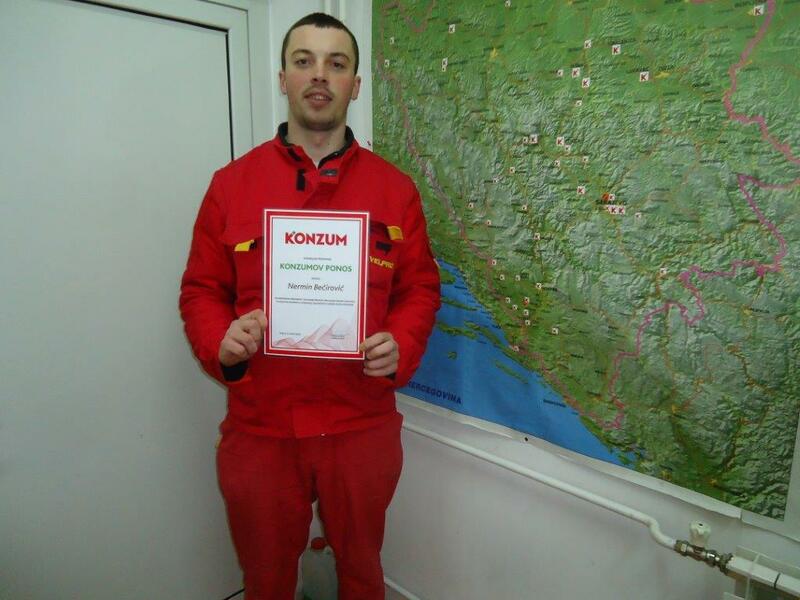 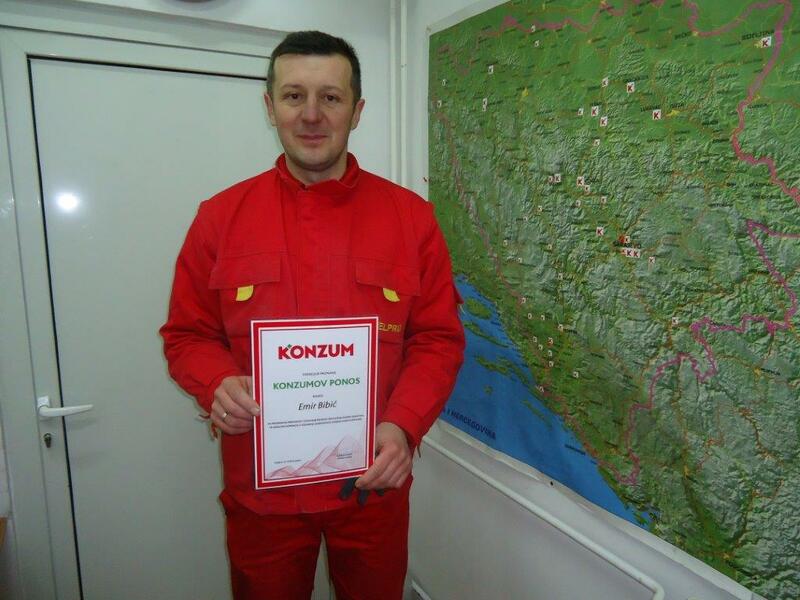 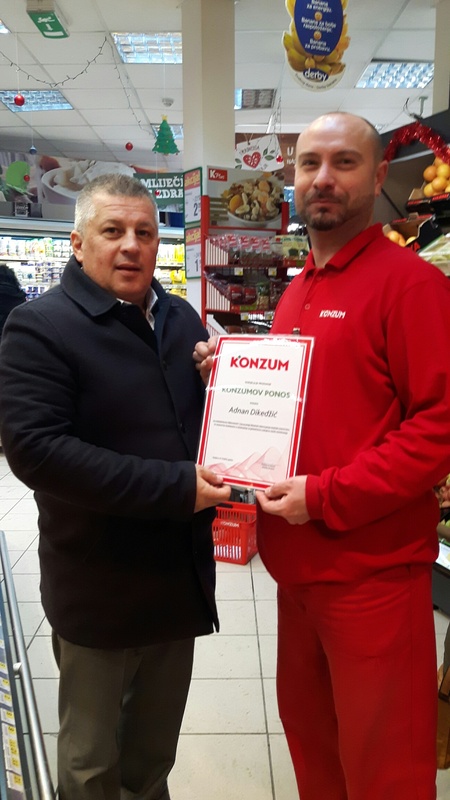 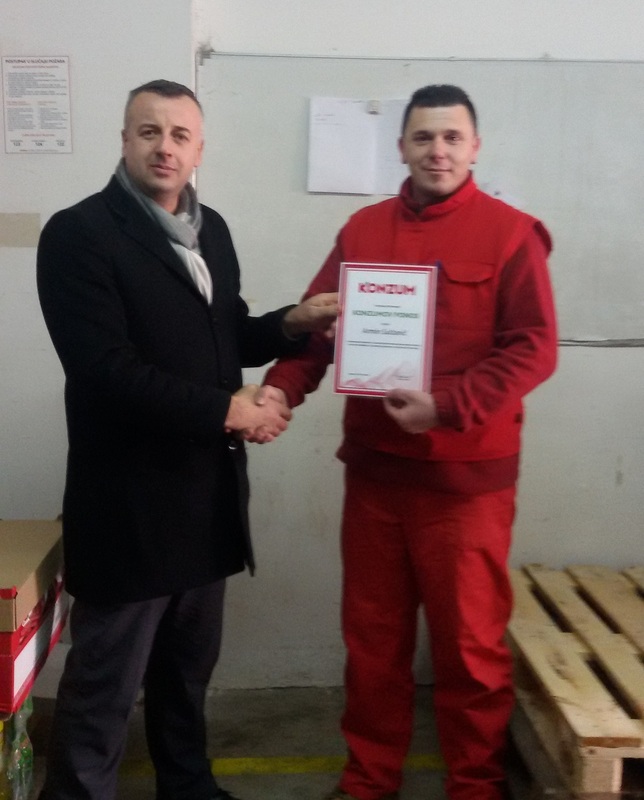 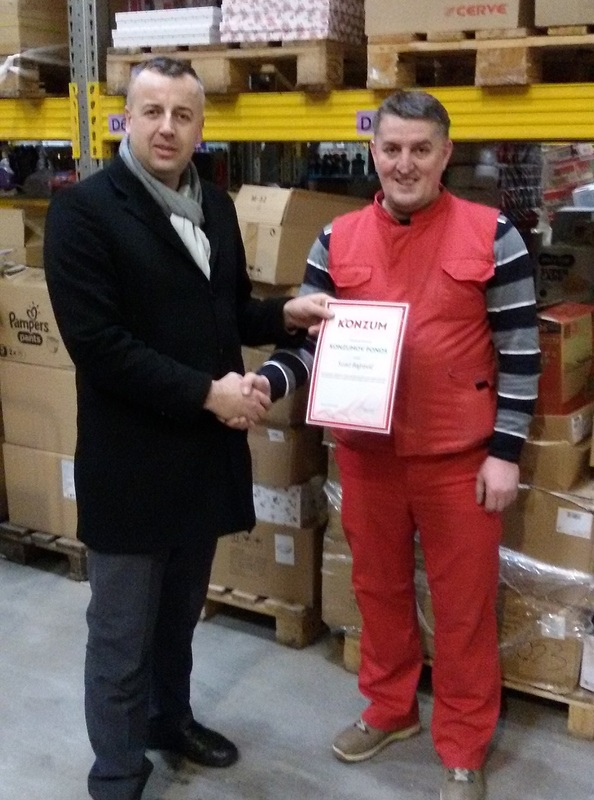 Seventy employees of Konzum in Bosnia and Herzegovina were presented with the “Pride of Konzum” award during a ceremony at the beginning of the year for their contribution and proactive attitude that made them stand out in accomplishing their tasks, and for actions that made an additional contribution to the company’s successful business results. 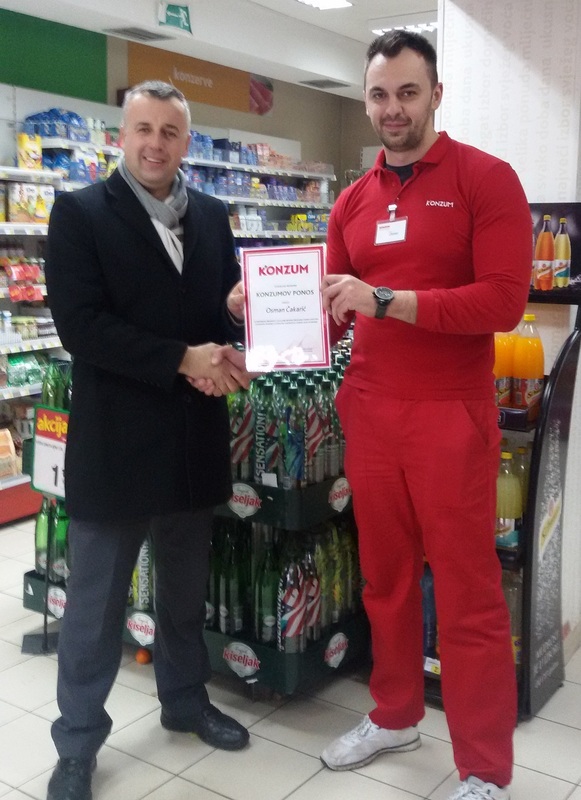 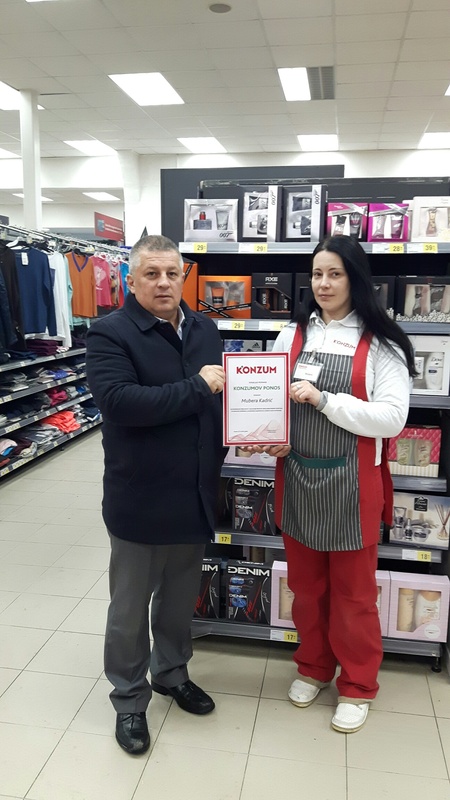 These awards not only represent personal recognitions but also confirm the importance of team work on every level of business activities in Konzum BiH. 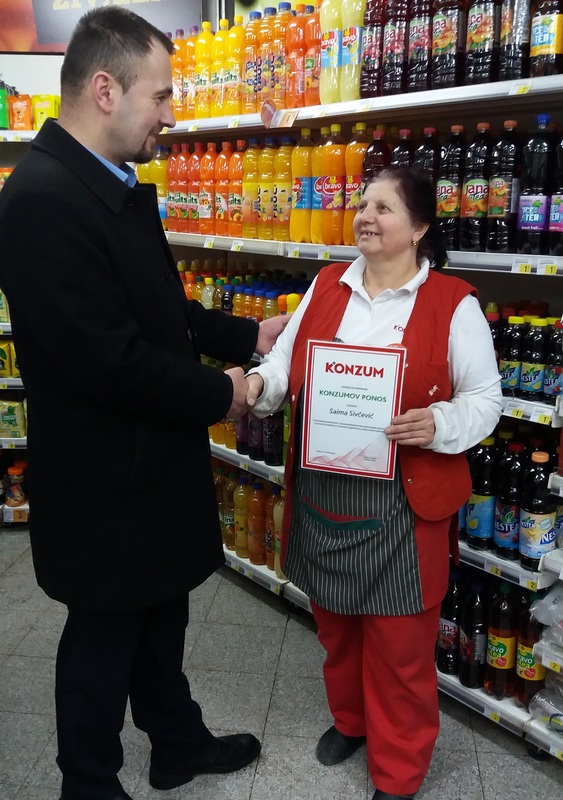 Bajrić Admir, Halilović Ahmija, Hodžić Niaza, Rovčanin Izeta, Veletovac Šeherzada, Dikedžić Adnan, Planja Samira, Ilić Jelena, Kapuran Verica, Goralija Mirha, Sivčević Saima, Smailbegović Vahida, Muhović Adisa, Fejzagić Lejla, Kadrić Mubera, Čakarić Osman, Sultanić Armin, Bajrović Suad, Kazić Mehmed, Suljagić Hatidža, Topalić Aida, Andelija Safija, Spahić Elma, Aščalić Firdesa, Muharemović Edvin, Spremo Olga, Bilić Dragana, Gustin Zdravka, Nikolić Janja, Herceg Ante, Sakoč Enida, Letić Nihada, Džonlez Tihomir, Bubalo Domagoj, Salčin Sandra, Cvitanović Pavica, Kukić Sandra, Zlojo Mehmed, Hurić Admir, Žilić Mirela, Mujkić Alma, Hodžić Fatima, Joldić Alma, Pejić Tanja, Hadžan Zehida, Radovanović Zorica, Mejrić Rusmira, Haskić Eldina, Novaković Dragan, Đurđević Danijela, Toljić Nerma, Handukić Sanela, Beganović Dženana, Lepirica Inesa, Todić Nenad, Džehverović Jasmin, Ćulum Angelina, Gavrić Ranka, Kavić Milana, Trifunović Aleksandar, Curo Sevad, Mušić Adis, Brčaninović Adnan, Lozo Budimir, Crnić Milanko, Bećirović Nermin, Čolić Mirzad, Bibić Emir, Ćatić Midhat i Gušić Mehmed. 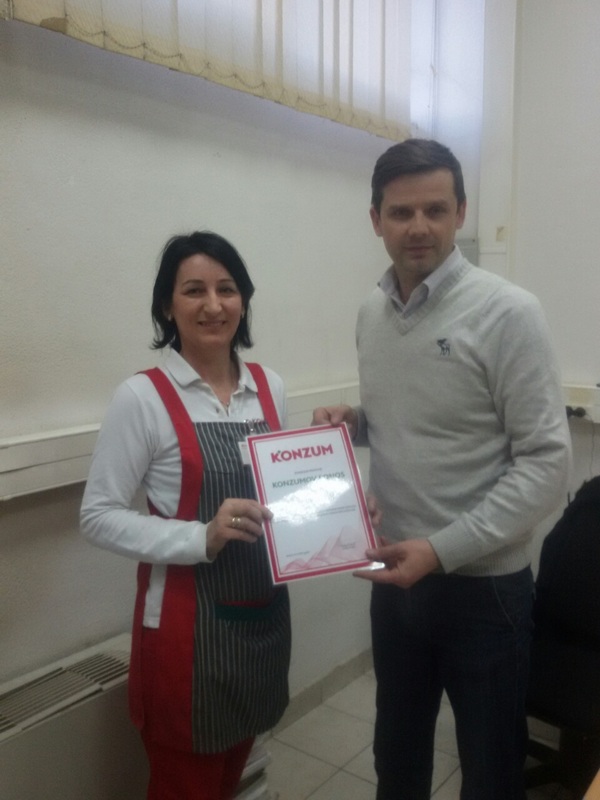 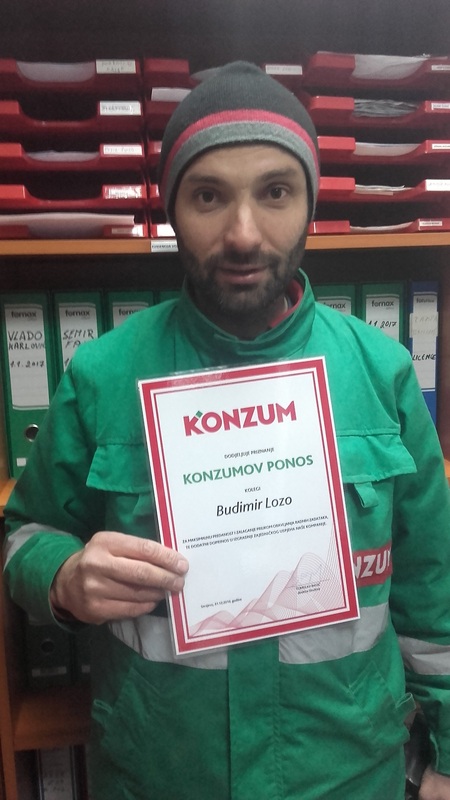 Alongside the education of employees that Konzum is continuously conducting and in this way ensuring its long term development, Konzum recognized the contribution of listed employees and decided to give them additional stimulation in order to emphasize the importance of personal dedication as well as the importance of team work in a large organization.